Out-of-the-box solutions might work for some businesses, however the majority of merchants will benefit from an expert analysis and implementation consultant. Merchant services providers that are experienced in, for instance, Cloud point of sale implementations such as eTech Merchant Solutions can help guide you towards choosing the ideal hardware, in addition to installing the underlying network and tailoring the software application to your specific business needs. If you own a Salon, your software requirements are vastly different from those of a restaurant owner. 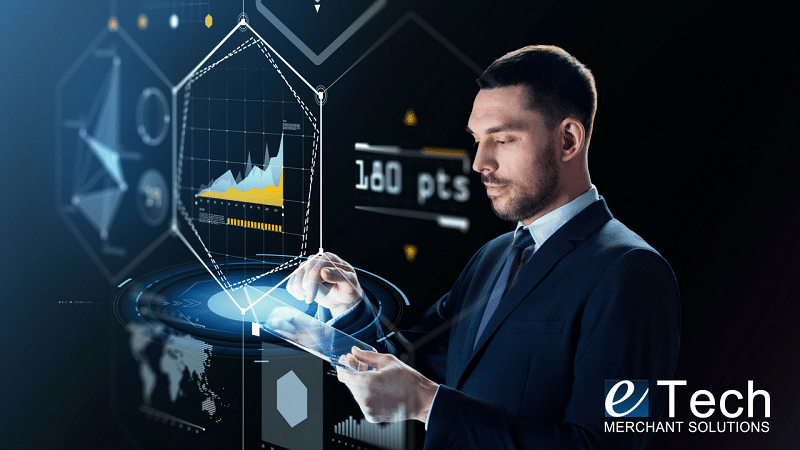 eTech Merchant Solutions empowers small business owners by listening to what their business needs are, and then providing a tailored solution. These custom software solutions can make running your business easier and make your business grow. As a Value Added Reseller eTech also provides many out of the box software solutions which are pre-programmed with menus for various restaurant types and Salon Booking software which integrates with your business social media accounts. It can automate inventory, automate purchasing management, and simplify transaction processing, while being scalable to meet your needs as your business grows. Implementing new software and hardware requires a certain level of disruption, however you should choose a solution that is specifically developed for easy implementation and adoption. Simply put, your store needs to stay open for business and your staff members must be able to quickly learn the system. Take for instance, a pizza shop, instead of taking orders via the traditional telephone call, they can now implement a very easy to use online ordering system on their website. The credit card payment is received via online checkout prior to the customer arrival to pick up the pizza, or even have the tip paid prior to the pizza delivery. Even if the software application you select simplifies POS transactions, unless it’s integrated with your social media marketing outlets, it will not have the power to actually grow your business. Ideally, your point of sale system should link to your business Facebook, Twitter, and Instagram. eTech Merchant Solutions empower our merchants with the ability to send Twitter blasts directly from the POS system creating sales events and menu specials to get your customers in the store. Facebook can be leveraged by setting up a calendar to manage your appointments in real-time, eliminating the need for your customers to call in to schedule with you. The very best point of sale software can end up being a crucial element of your marketing toolkit. 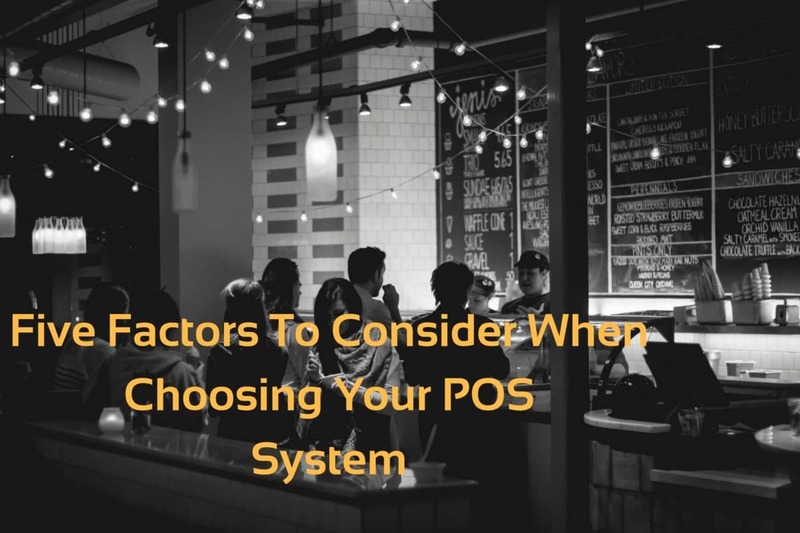 Thanks to tracking features, eTech POS software can allow you to launch highly targeted marketing to select customers, such as those who have actually purchased specific products in the past or those who have shown a preference for certain merchandise. Evergreen products will eventually run out, and a friendly reminder to buy from you goes a long way in providing great customer service and keep them as repeat customers. In addition to targeted marketing, it will enable you to set up promotions and discounts, as well as recommend up-sells at the register so your staff members can easily talk about the products to your customers. Bear in mind that, when you choose a point of sale solution, you ought to have the ability to get ALL of the features you need. For instance, you may want to quickly add brand-new products to your database, or make it possible for a matrix that allows you to distinguish between similar products such as the same t-shirt design by characteristic such as size and color. Likewise, you may want to print out customized labels for your prices and on sale products tags. Perhaps you require a Cloud POS system that will work for multiple store locations which can be managed through one looking glass, or maybe tailored reporting and metrics are critical to your business growth and success. The bottom line is that, with the best implementation team by eTech Merchant Solutions, point of sale software and hardware can catapult your business to the next level. eTech Merchant Solutions provides the latest payment technology solutions to keep our merchants PCI complaint. We offer a FREE EMV payment terminal to all new merchants along with discount credit card processing rates. At eTech our mission is simple, to empower small business owners to reach growth and success using tailored solutions to fit your business needs. Call eTech today at 888-650-3330 or send inquiry to sales@staging.etechpos.com for your free quote..